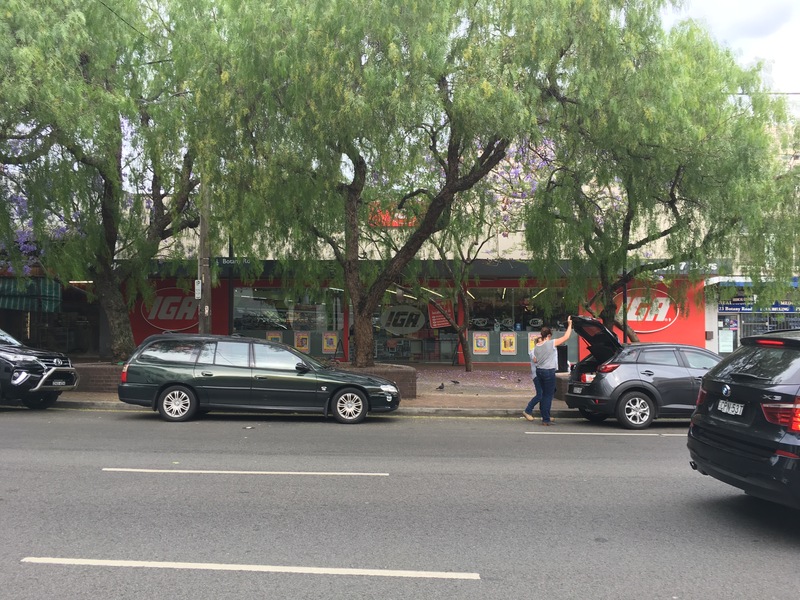 Decoupling – Two-way Conversions of One-way Pairs: The Case of Botany and Gibbons in Redfern. I discussed the two-lane principle in a previous post. Botany Road should be a lovely High Street. Consider the one-way pair of Regent Street/Botany Road with Regent/ Gibbons/ Wyndham Street through Redfern (map). Regent Street/Botany Road is a shopping street. Certainly not the most upscale shopping street in the city, but a street lined with shops none-the-less, including the best bakery in town. It is also slated to host (at its southern edge) the Sydney Metro Waterloo station at some point in the future (for which demolition is underway). Now if the purpose of the street were simply moving cars, this one-way pair might be a good idea. But the purpose of an urban street is far more than moving cars. I will recall the Hierarchy of Roads again, and the TfL Movement and Places graphic. This one falls right in the middle: High Street. It is paralleled by a street that is 4 lanes (northbound), with almost nothing abutting it on the west for a long stretch from the very short Boundary Street just north of Henderson to Regent Street except for Redfern Station, (which about 11,000 pedestrians cross per day) and building service on the east. I don’t know the exact year this configuration occurred, I suspect it had to do with the construction of the underground train line, which follows the road. Reconfiguring Botany Road and Gibbons Street as two-way. So there is a conundrum here. In this stretch, Botany Road should not have through traffic, and Gibbons should. However south of this stretch, Gibbons becomes Wyndham, which is far more residential (lower left corner of the TfL Diagram), while Botany becomes more industrial (upper left corner of the TfL diagram). Both are two-way south of Henderson. I would argue that both should remain two-way. The difficulty becomes the northern end. How to terminate these roads, or bring them together as two-way streets? I have sketched a concept. I am sure there are others. The idea I suggest here is that both streets are two way. Regent would have dominant flow onto Gibbons (rather than on Botany to the east (which is called Regent here because streets change names at random places in Sydney)). There would be very short one-way section so vehicles going Southbound on Regent could proceed onto Botany and avoid a traffic light. 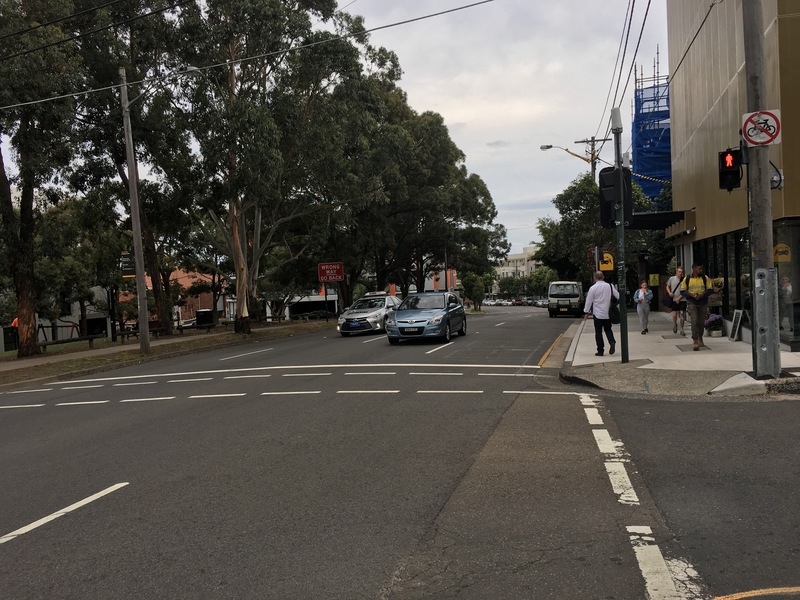 There is very little pedestrian traffic crossing here, and until and unless the Central to Eveleigh project happens including air rights development above the rail tracks, that is likely to remain the case. Gibbons Street is wider with less street-facing activity. I imagine Gibbons would be 2 lanes in each direction the entire way from Henderson to Cleveland. Botany Road would be 1 lane in each direction, with bus lanes, bike lanes, and turn lanes as appropriate. Would this particular change slow down cars? Possibly, but not by much. Gibbons will move reasonably well with the dominant flow, and the demand should not exceed the capacity of 2 lanes in each direction, now it is only functionally 2 lanes Northbound in any case with on-street parking and bus stops. The section of Regent just south of Cleveland already gets congested, but this configuration should not make it any worse than now. Certainly some on-street parking would be lost on Gibbons, but it would be recovered on Botany Road. The road network is reconfigurable. Not every past change is irreversible. And the objective of moving traffic is not always incompatible with place-making, though it sometimes is.